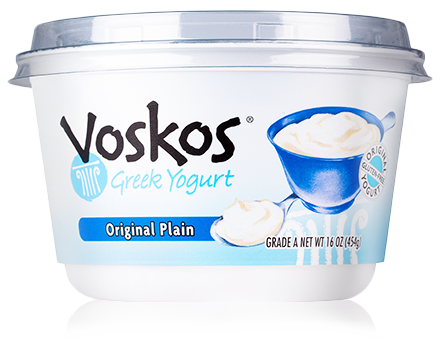 In this classic recipe, we used VOSKOS® Greek Yogurt instead of the traditional sour cream for a lighter, yet authentically creamy version of the hearty original. Serve over noodles with steamed broccoli or peas and carrots for a family-friendly meal, or try it with french fries if you’re in the mood for some comfort food. Heat the oil in a large sauté pan over high heat until simmering. Season the steaks with salt and pepper and cook until golden brown. Remove the steaks to a large plate. Add onion and cook for 5 minutes. Stir in the flour and cook, stirring constantly, for 2-3 minutes. Add the broth, bring to a boil and cook until mixture is slightly thickened. Add the steaks, salt, pepper and parsley. 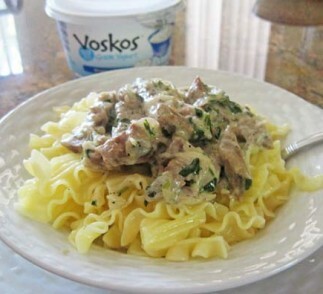 Remove the pan from the heat and whisk in the yogurt, ready to serve.